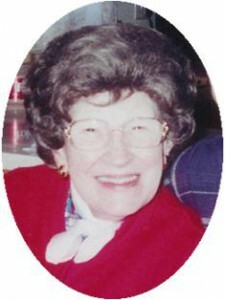 Ethel P. Wesley, 86, died March 21, 2006 at her Belgium Gardens residence. She was born April 24, 1919 in Milwaukee, Wisconsin to Max and Dina Savard Heins. She worked at Cutler Hammer in Milwaukee where she met Marion “Lionel” Wesley. They were married May 10, 1947 in Milwaukee. Together they lived in Milwaukee and she raised their daughter, later working part time at Kohl’s Dept. Store. After Lionel retired, they moved to Saukville in the early 2000’s and in 2004 the moved to Belgium Gardens in Belgium. Ethel loved animals and belonged to several animal welfare organizations. Her husband Lionel preceded her in death February 7, 2006. She is survived by her daughter Kathy (John) Molter of Saukville, grandsons Timothy (Britta) Molter of Seattle, Washington and Neil (Natalie) Molter of Columbia Fall, Montana, and great grandson Mason Molter. Further survived by sister Jane (Frank) Herrick of Waukesha, brothers Raymond Heins and Harold Heins both of Milwaukee, other relatives and friends. She is preceded in death by her husband. Chaplain Robert Lantz of Heartland Hospice will officiate memorial services 4 pm Saturday, April 1, 2006 at the funeral home. Visitation 2 – 4 pm Saturday at the funeral home. Memorials appreciated.